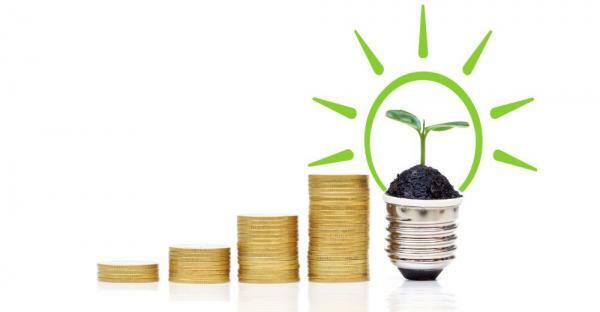 Funny isn’t it, how a lot of people have been convinced that just by switching to a smart meter they will save loads of money and also help the environment by reducing their Carbon footprint. Not quite that simple I’m afraid. You have to work at it. Of course there is a way to save a little money without any effort. If before your smart meter was installed you were continually in credit with your energy supplier, due to your monthly payments outweighing your usage. Then once the smart meter kicks in, your energy company will only charge you for the energy used in the last month. You could be earning interest on the money that was otherwise in their account and now remains in yours. Admittedly not a lot but at least something. So what is the real point of smart meters apart from handing over £11 billion of our money to the energy companies. So much for them being free!! Anyway, moving on from my rant, time for us to find the path to savings. In a nutshell, stop using so much gas and electricity and you will save money and the environment. Try a little game, watch the in-home display on your smart meter with nothing major switched on, then flick on your kettle, your iron and your tumble dryer and watch the electricity flow. As it speeds up so your bank balance diminishes, a simple test but it shows you where the biggest energy drains occur. My plan over the next few blogs is to give you plenty of simple ideas to help keep your energy usage down. Keep an eye on the in-home display and point out to family members that they need to think before switching on an appliance. Most ideas will be free, some will cost a few ££’s and some even more than a few ££’s. Of course it’s your choice what to do with the information but at last you will have more control, and remember a lot of small changes add up to a big change. 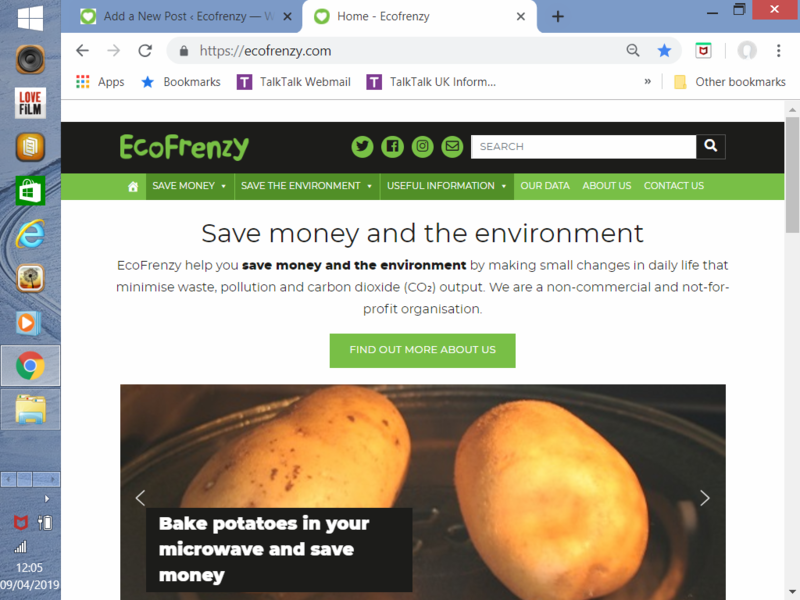 If you want to run ahead of the game, these ideas and hundreds more are all on the Ecofrenzy web-site, have a look under ‘Save Money’ in the header banner. My personal energy bills have dropped by more than 30% by following many of these basic guidelines. That’s hundreds of pounds for very little work. How about we start off in the kitchen, it’s early morning and you have staggered downstairs looking forward to the first cuppa of the day. Fill the kettle through blinking eyes, ignoring the water level and bang there goes your first money. It’s easy to boil more water than you need. Think of it in a slightly different way, if you went to a shop and ordered a lump of cheese how would you feel if they cut off a corner and threw it in the bin saying you won’t eat that piece. They then charge you for the whole lump. Not too happy I would imagine, but it’s the same thinking with the boiled water. A nice simple change gives a nice little saving. You’ve just poured the boiling water over your teabag and nip to the fridge for some skimmed milk. As you open the door you have the impression that the Arctic has visited your kitchen. Surely the fridge does not need to be that cold. Well no it does not. 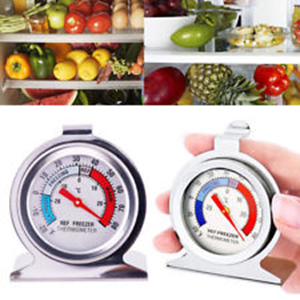 The ideal temperature for a fridge is 4C, anything below that and you are wasting energy and money. Take a quick glance at the fridge settings and adjust accordingly. Similarly, the ideal temperature for a freezer is -18C, if you set your freezer at -25C the amount of refrigeration energy wasted can be as much as 10% which can cost (per year) an extra £9 (= 30kg of CO₂). As you drink your tea, you glance at the washing machine and remember that you forgot to empty it last night. 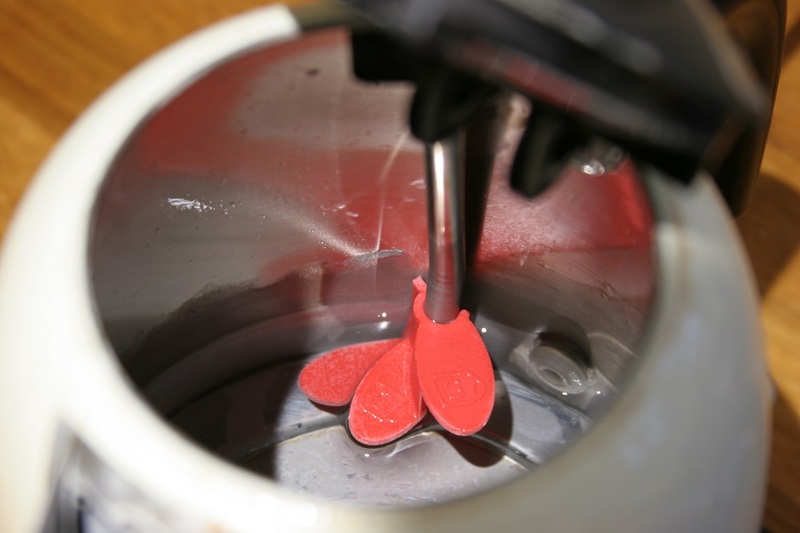 Simple solution, pop the wet load into the tumble dryer. As you switch it on, if you were watching your smart meter in-home display you would see a significant jump in energy usage. Drying clothes takes a lot of power!! 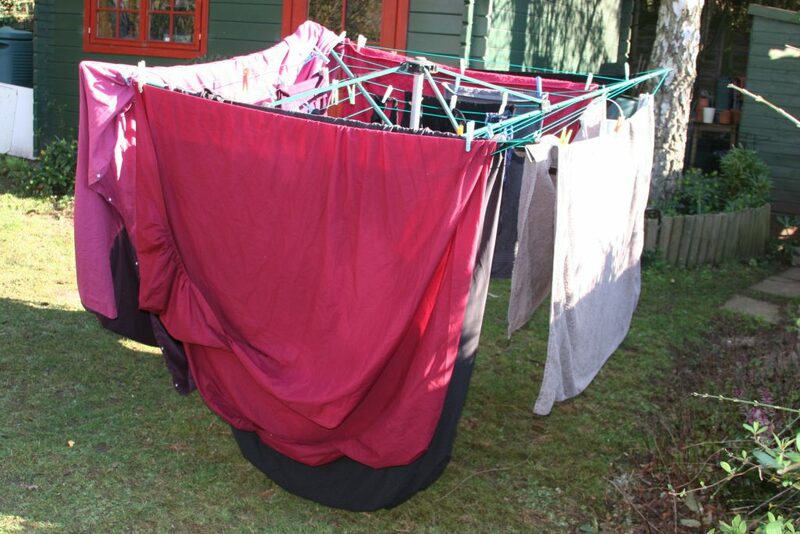 How about a simple solution – hang it on an outdoor line or maybe an indoor rack, this will save energy and money whilst also reducing fabric wear. In monetary and CO₂ terms – Using an average 2.5kw tumble dryer for 1 hour costs about 35p. If you use the tumble dryer 150 times a year, it would cost you just under £53. Already with very little effort you have saved £82.00 equivalent to 275kg CO₂. This is just the start, and only 3 items. You could even play a game with your children, give them targets and then show them the financial and environmental benefits of their actions, maybe the incentive of a day out with the saved money would encourage them to think again before leaving every light on in the house. As you can see your smart meter has not changed anything, it is up to you and your family to make the difference. However, it is a great tool to teach you and your family the speed that energy can be wasted if you keep doing the same old things. Imagine if 10 people followed your example, then 100, then 1,000. Add us all together and the savings become significant.